Take your passion for Pilates to the next level and start your Pilates Teacher Training journey by joining the Anne Sexton School. Do you love Pilates? Are you awestruck everyday by how it makes you feel? How it allows you to move? How it makes you look? Do you, like Joseph and Clara Pilates, aspire to teach people the Pilates technique and change their lives? Are you committed to keeping the Pilates method at the forefront of peoples lives enabling them to “go about their daily lives with minimum effort and maximum pleasure” Joseph Pilates. Would you like to deepen your knowledge and ignite your passion. Be bold, take the next step and enroll with Anne Sexton Pilates Teacher Training school! Become a professional Pilates instructor and make a career out of something you love. 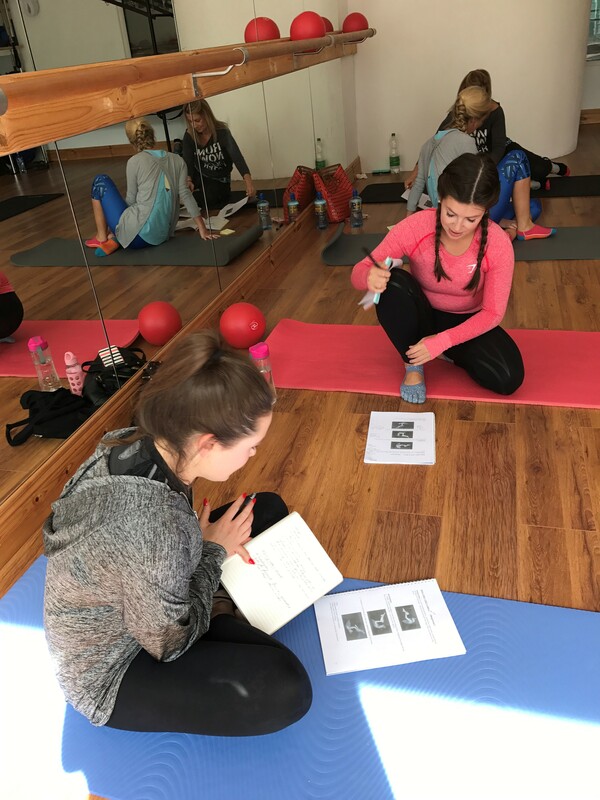 At Anne Sexton Pilates we endeavour to provide a nurturing and learning environment where people can come together and experience the truly life changing practice of Pilates. It is our commitment to pass on the life work of Joseph and Clara Pilates in its true classical form, empowering people to take control of their lives and bodies, allowing them to in the words of Joseph Pilates “go about their daily lives with minimum effort and maximum pleasure”. It is our promise to stay at the top of our profession, to provide each and every one with the very best in practice and education, and to inspire lives through Pilates. Our commitment is to you, our customer, whom without you we would not be! Pilates Mat I is the foundation of the Pilates Method, a thorough understanding of Pilates Mat and the proficient execution of the exercises is essential before moving on to the apparatus. Appropriate time to learn and perfect each exercise is required before teaching the method. Mat I includes an introduction to the history and principles of Pilates, it covers professionalism: scope of practice&/ ethics. The Classical Pilates, Beginner exercises and introduction to intermediate level exercises with modifications, precautions and contraindications. An understanding of Classical vs. Contemporary. An overview of anatomy and movement principles. Mat II includes the remaining intermediate and level II exercises as well as the use of props for advancing clients or providing appropriate modifications. More proficiency will be attained by the religious practice and strict adherence of the Pilates principles learned and perfected during Mat I and the hours of self practice and observation. Matt III incorporates all of the Classical repertoire taking each exercise to its most advanced level bringing in the use of props, modifications, precautions and contraindications. A thorough understanding and proficient execution of levels I and II are prerequisites for Matt III. An introduction to the principles of movement Science and Anatomy and the primary muscles of the body involved in Pilates movement. Training includes an introduction to Pilates movement and exercises with in depth overview of the muscles and joints, an over view of the skeleton and its function, Posture alignment and breathing. You will learn Precautions and Contraindications for Pilates programming giving the teacher a clear understanding of what is within their of scope of practice and when they should refer to a more qualified professional. It is designed to give the necessary skills to understand and teach and put together a safe, effective and appropriate Pilates programme. The Reformer is easily the best known of Joseph Pilates apparatus, with correct use of body position and spring setting it can support the novice or rehab client or offer a extremely challenging work out for the elite athlete. This 3 part Reformer course sets out to give the aspiring teacher a thorough understanding of the Reformer how body position and spring setting are used to give the body a unique workout in every plane of movement, taking the muscles through their full ranges of movement eccentrically and concentrically. Reformer I, II & III includes an introduction to the Pilates Reformer, beginner and intermediate and advanced exercises, session sequencing and teaching cues for group classes and individual tuition. You will learn modifications designed for group and individual instruction as well as technique for teaching clients at different levels of ability. The chair is an extremely functional piece of equipment. It has many uses in functional training, muscle imbalances, and athletic training. Includes exercises and variations for both private training sessions and classes. Covers multiple exercises on this very adaptable Pilates piece of equipment. Includes an introduction to the Ladder Barrel, Step Barrel and arc exercises. We are probably most familiar with the barrel being used for back extension type exercises and it is a marvelous way to perform these, one of Joseph Pilates inventions, it has multiple uses and offers a unique addition to any Pilates routine.